What does it take to create a heard of wildebeests? And the answer isn’t a mom and dad wildebeest. 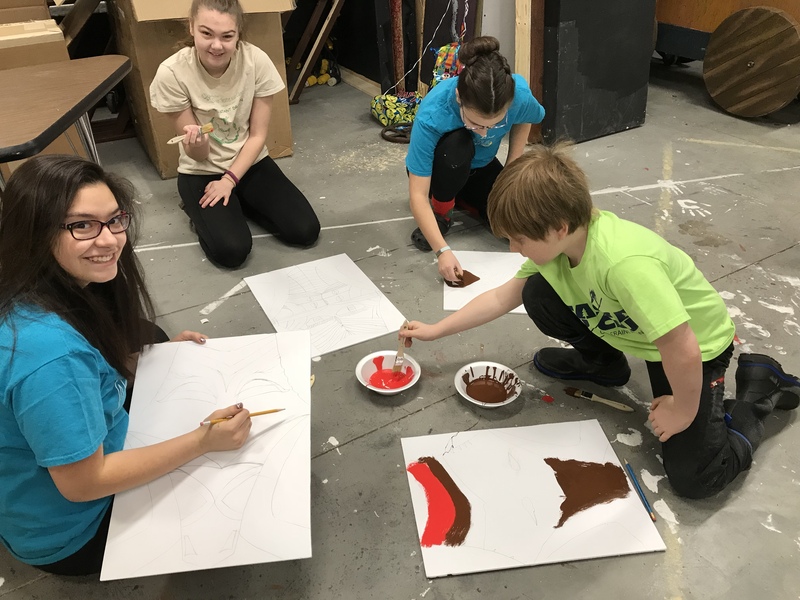 It is part of the scene production for the upcoming show, “The Lion King, Jr.” The heard was created by teen cast members with lots of energy and the guiding hands of volunteers in the Theater Education Program, a collaboration between the Grand Rapids Players and The Reif. Along with creating wildebeest masks for the production, students perfected musical numbers and solidified choreography. Alli Hansen, who recently moved with her family to Grand Rapids, facilitated the mask building session. Hanson holds degrees in Theater and Elementary Education from UW Stevens Point. She also studied Theater design. 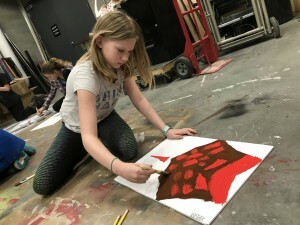 While living in central Wisconsin, she worked in Children’s Theater, developing and implementing arts-based programming for the YMCA. The 55 cast members invaded the scene shop for most of Monday morning, interspersed with on-stage rehearsals. In addition to mask making, the afternoon was spent working on music from the production. Music Director for Disney’s “The Lion King Jr.” is Rachel Coppock. She recently graduated with a Music Education degree from Concordia College, Moorhead, and is employed as the music instructor at Southwest Elementary and Forest Lake Elementary schools. Her passion for music, children, and theater is evident in her work on the production. The Theater Education program is currently directed by Jim Cagle. He holds an undergraduate degree in Theater and Speech Education, as well as a master degree and doctorate in Education. Jim also has professional stage and film experience. Assisting Jim is his son Josh Cagle. No stranger to the stage, Josh has been seen in many Players productions over the years. 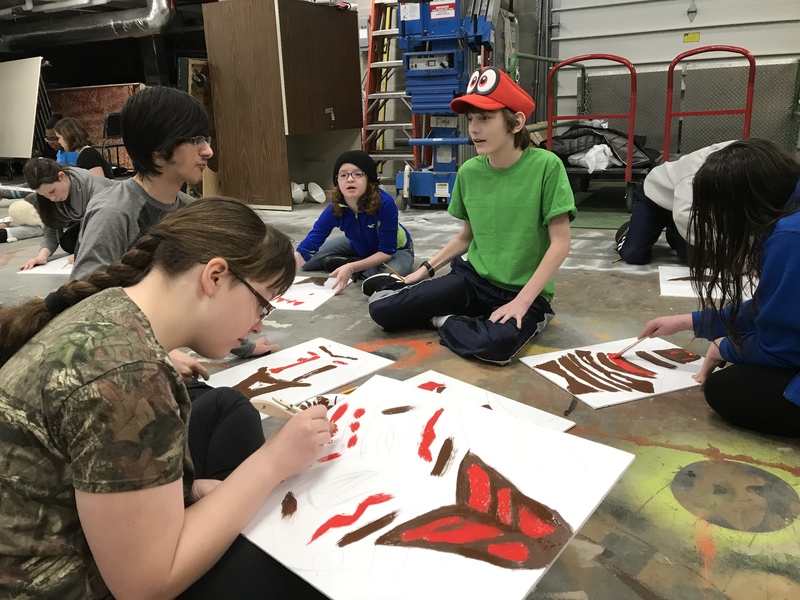 The Theater Education Program was developed to expand theater opportunities for participants of any age. Through workshops, community members can engage in activities designed to expand their knowledge of the many different aspects of theater. 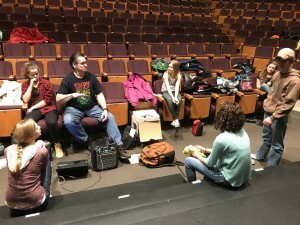 Last fall, a group of individuals participated in a stage makeup workshop. Workshop components are embedded into the rehearsal process for each production, and more workshops are being designed and developed as the Theater Education Program moves forward. “The Lion King, Jr.” / Reif Center-Wilcox Stage on March 16-17 at 6:30 p.m. and March 18 at 2 p.m. Tickets are $10 for adults and $5 for students. Tickets are on sale at the Reif Center Box Office 218-327-5780, or here This production is underwritten by Northern Lakes Dental and produced with permission from MTI, Music Theatricals, International.